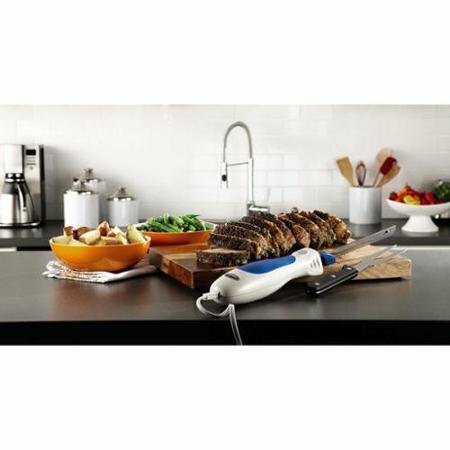 The Oster® Accentuate Electric Knife is one of the best when it comes to carving meat. It is made of thin stainless steel blade and a carving fork that is meant to be used specifically for this purpose. The tip of the knife is also has a special design to allow for a quick carving of the meat. 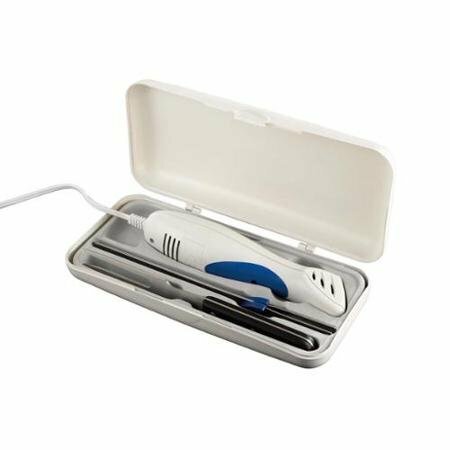 You will have an easy time cleaning the blades since they are made of stainless steel. The handle which comes in an ergonomic design also has small openings that allow for the aeration of the motor during use to prevent overheating. 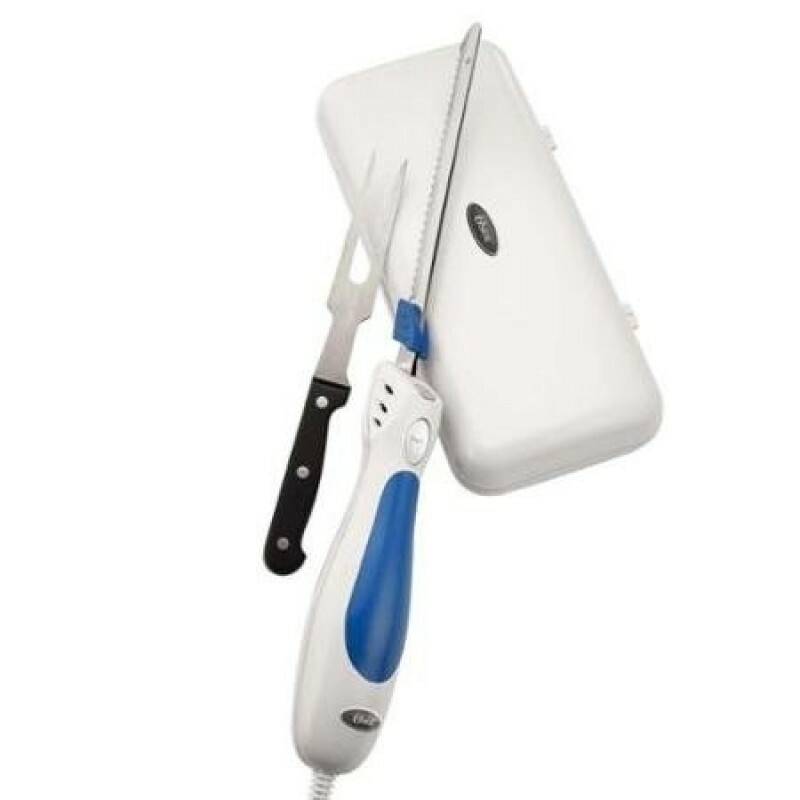 However, it would be good if this electric carving knife came with several blades to choose from. It is less strenuous to use thanks to its lightweight and ergonomically designed handle. You don’t need to use your hands while carving meat as it comes with a carving fork. Cleaning the blades is very easy since they are made of easy to clean stainless steel material. Its blade has a special tip that makes it easy to curve through the meat. The blades are durable and long lasting since they are made of stainless steel material. It is easy to operate since its power button is located on top side of the handle for easy access. You can use it for your travels as it has a compact case that makes it easy to carry. It has special openings for aeration and cooling to prevent the overheating of the motor. It comes with a single blade.